1. Psalm 136:1; Thank you LORD, for your goodness, mercy and faithfulness. 2. Vs 1; Thank you LORD, for this privilege to be a part of this fasting programme again. 3. Romans 3:23; Says “all have sinned and fall short of the glory of God”. Therefore LORD, I confess my sins to You now and beseech You for your forgiveness and mercy this day in Jesus name. Today’s Worldwide Fasting General Prayer Points. 4. Psalm 136:1; LORD, have mercy on me. Let your enduring mercy be my portion today in Jesus name. 5. Psalm 19:12; Father cleans me from secret faults by Your Blood this year in Jesus name. 7. Psalm 199:11; LORD, let Your Word settle in my heart to keep from sinning in Jesus name. 8. Vs 29; LORD, deliver and remove me from the way of lying this year in Jesus name. Today’s Worldwide Fasting General Prayer Points. 9. 1 John 2:16; You root and sin of pride destroying my life, be cut off now by fire Jesus name. 11. Vs 16; You lust and sin of the eyes, be removed from my life now by the Blood of Jesus name. 12. You root and strength of sin messing up my life, die now by fire in Jesus name. 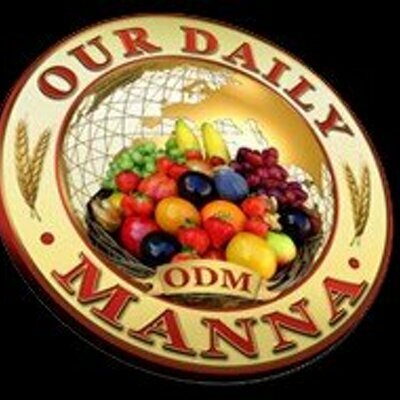 I am a lady from South Africa, I visited Nigeria (Abuja) for the first time last year and I was introduced to Our Daily Manna by a family friend. I still remember I bought 3 copies of the ODM and WAH for my Mom, cousin and I. I was blessed and empowered spiritually. This year I am in SA but I am still following ODM , I am participating in the 21 day fasting and I am getting my devotions online. I would like to thank God for this Ministry and for the Revelation of God’s word upon the Man Of God. By God’s Grace I will be at the 2019 Anointing Service. I am really blessed to have been introduced to the ODM! We thank God for this amazing testimony, this is the most joyful part of the ministry, see people read ODM and we see amazing testimonies. Continue to grow in faith, and don’t relent. We keep posting daily prayers so that you also don’t miss anything. 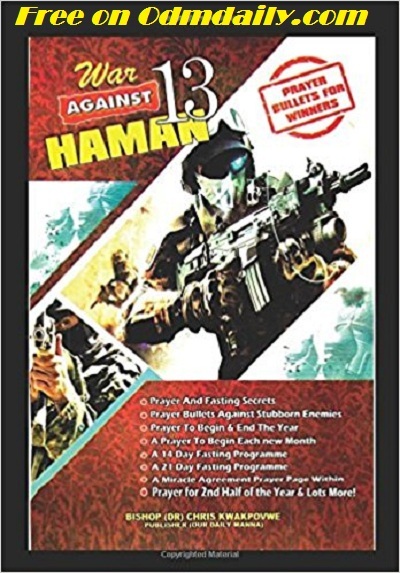 Greetings and God bless you for the tremendous work you are doing in changing our lives,I would like to receive war against Haman prayer points through email.Am based in Livingstone, zambia and by the time I arrived at the bookshop to get a copy I found them selling the last copy to another client. I was late for the fasting for 21 days Fasting on the 6th January 2018 – I got the War Against Haman 13 very late – i got the book very very late – so i decided to fast on the 14th February – next month – i whether it is good to fast on the 14th February 2018. Please i want to know whether i should fast on the 14th February. I have added your email to the mailing list, kindly check your email suseyi2002@gmail.com and accept the invitation. Good day thanks for the angel called odm. Pls how can I get prayer points from war against haman. Here is my email. Franklinozomadu@gmail.com. Thank you for making your request. We have added you to the mailing list. Kindly check your email to approve your invitation. God bless you.